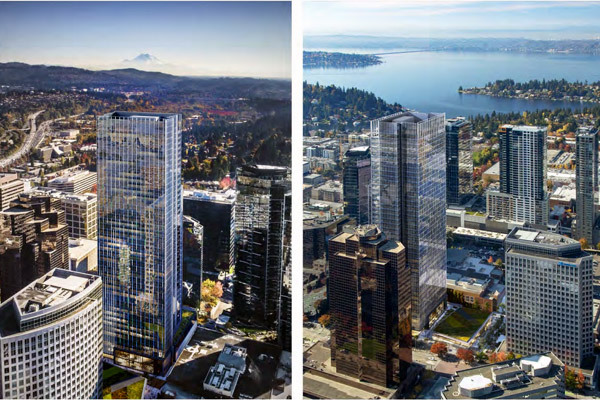 Downtown Bellevue will have its first 600' tower in 2023, according to a recent permit submitted to City of Bellevue. 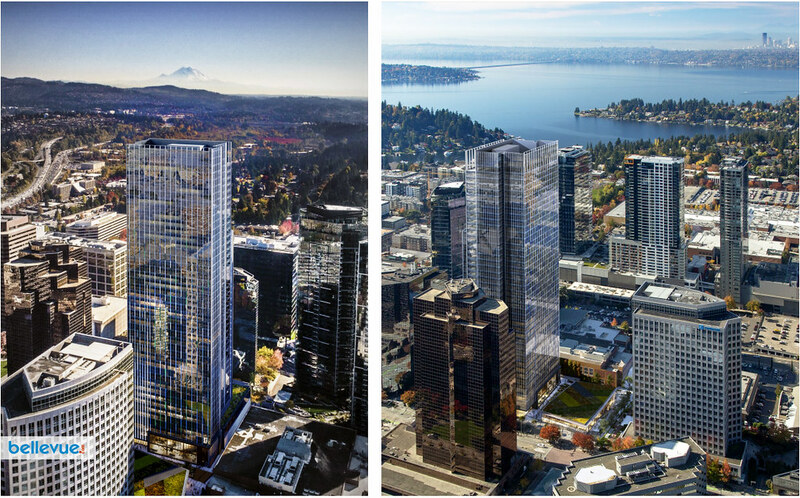 The proposed project, a Vulcan development, includes two structure above grade: a 42-story office tower with a 2-story podium, and a retail pavilion. Approximately 24,000 gross square feet of space for active uses is provided at street-level within the tower and in the pavilion. The tower will extend to the 600' maximum building height. The project boasts approximately 15,900 square feet of amenity terrace space for building tenants, located at Levels 3, 18, 31, and 42. A 7-level underground garage will house some 1,395 parking stalls. 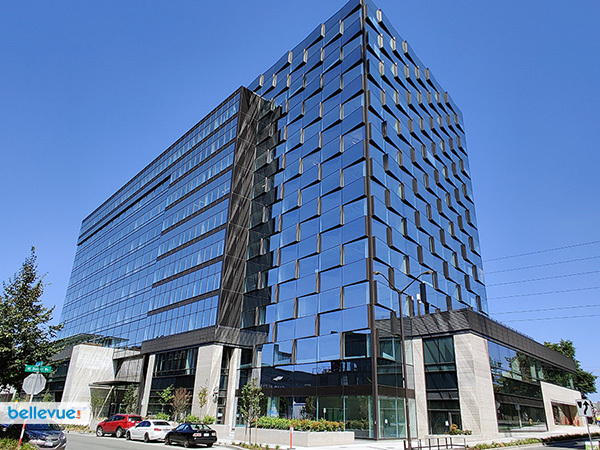 The project site is located at 555 108th Ave NE in the heart of downtown Bellevue, directly across from City Center Bellevue building and Bellevue Transit Center. 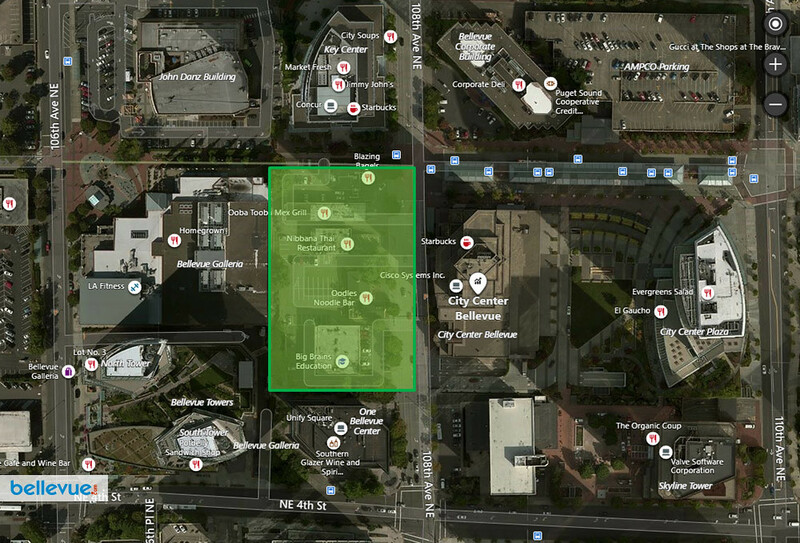 The site is bounded by Key Center to the north, 108th Avenue NE to the east, One Bellevue Center to the south, and the Bellevue Connection to the west. 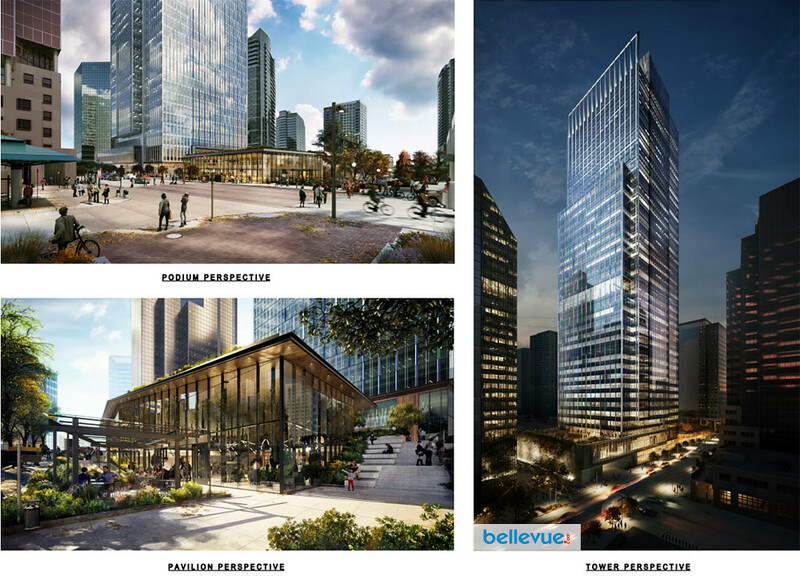 Demolition of all existing buildings and surface parking on the site is planned to begin in Q1 2020, and construction to complete for occupancy in Q2 2023.